Do you run a website or are planning to start one soon? Do you want to know how you can monitor and maintain it for communicating with google? Google provides a free service called Google Webmaster Tools which can help you in examining your site and even improving its performance. Google Webmaster Tools is a free service offered by google specially for webmasters (one who runs a website). It is a powerful toolset that can help anyone with a website to get useful insights for SEO purposes. Though it doesn’t affect SEO directly, it only helps you to identify issues and loopholes on you website which you can rectify. It helps in making a site more usable, user-friendly and generates reports which aid in improving site’s performance. Who can use Google Webmaster Tools? Anybody who owns a website and wants to track and improve its performance can use Google Webmaster Tools. 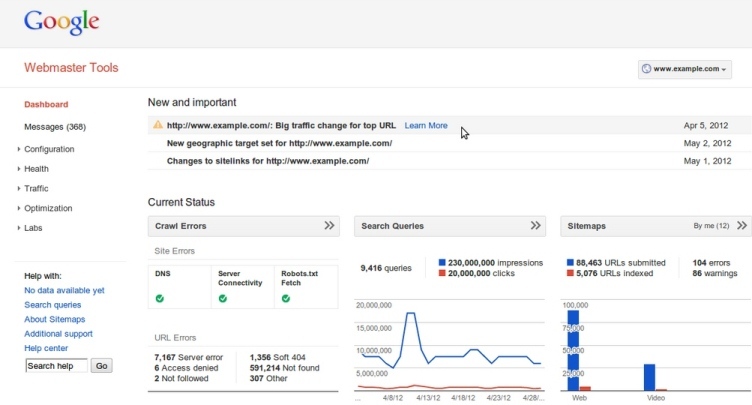 Why should you use Google Webmaster Tools? GWT is a great free tool provided by Google which is very beneficial for website optimization. Let’s look into the benefits you’ll get after using webmaster tools. Analyze mobile site performance …and more. Kindly visit FAQs Page where we’ve listed mostly asked questions. Our trainer Sir, Mr. Parmveer is excellent and used to explain the things with simple examples. I found this course very engaging and informative. Thanks Sir, This has been a very useful and given me insight as to increase visibility and authority of a website.